Some of you need to quiet the voices around you and hear His heart for yourself and your families for the coming year. While others need to surround yourself with wise counsel to make sound decisions for the sake of you and your family! Don’t be so impressed by the gifts, but rather the fruit. The fruit will reveal the root. I think that as Christians, we need to stop focusing on people’s spiritual giftings in the church and realize that it’s not enough by God’s standard to simply be “spiritually gifted” and yet fail in terms of our Characters. What good does it do for the Kingdom of God, if people have the gift(s) of prophecy, spiritual discernment, evangelism, the gift of a Teacher, Pastor, etc and yet not have the character to maintain these gift(s)? A heart that is not fully submitted to the will of Christ cannot be used effectively to advance the message of Christ Jesus to the nations. Humility is the key trait that allows for the grace of God to manifest the gifts of the Spirit effectively in a Believer. It is important that as Christians, we don’t get caught up in the system or status quo of churches who start to place “gifted individuals” on such a high pedestal that they fail to see that they are not perfect people and that they are simply humans who are also in need of a Saviour. Some churches have a bad habit of esteeming the “Gifted” to such an extent that it cultivates PRIDE, that they forget the “Gift-giver” who is God in the process. Just because someone is gifted doesn’t automatically and necessarily mean that they bear good fruit as a result of being “gifted”. We must always assess people on the basis of their Fruit and Characters, and not simply get caught up in their popular “Status quo” as a measuring stick of how simply “amazing” they appear to be by our flawed standards. Popularity by mans standards means nothing to God if your overall character stinks. On the other hand, God calls who He wants to call and we can’t judge those that the Lord chooses to use. Age has no bearing on who God calls to do His will. Someone’s social-economic status has no bearing on who God calls to do His will. The Gender profile or someone’s Racial background, nationality, and/or Familial backgrounds also have no bearing on who God calls to do His will. Our personal prejudices mean absolutely nothing to God who chooses to call any person that is obedient enough to do His will. God is willing to use any willing vessels that will SUBMIT to His will and do what is asked of them out of obedience. The question is, are you willing to be used for God’s Glory? Yes, yes. We all crave the gifts, but frequently ignore the fruit of the Spirit. And yet, how like Christ our characters should become! Thank you for reminding me that it isn’t about what is often on “show,” but rather in the quiet work of the Holy Spirit, conforming me to the image of Christ. Thank you! Glad this post blessed you Lynn. Thanks for your comments and for stopping by! God Bless! 😀 – Sherline. We are meant to bear the fruits of the Spirit which is the life we need to live in Christ. The gifts of the Spirit are given by grace. Having the gifts doesn’t qualify our salvation but the fruits does. “Don’t be so impressed by the gifts, but rather the fruit. 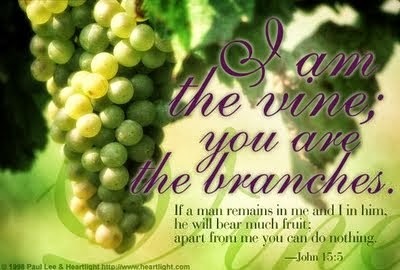 The fruit will reveal the root.” – A word in due season! Both are needed, fruit and the gifts of the Holy Spirit. Only thing needed is gifts should be driven by love. Jesus was moved with compassion and healed people. Instead of saying focus on fruit instead of gift, better say focus on both. Both are essential to be like Christ on earth.